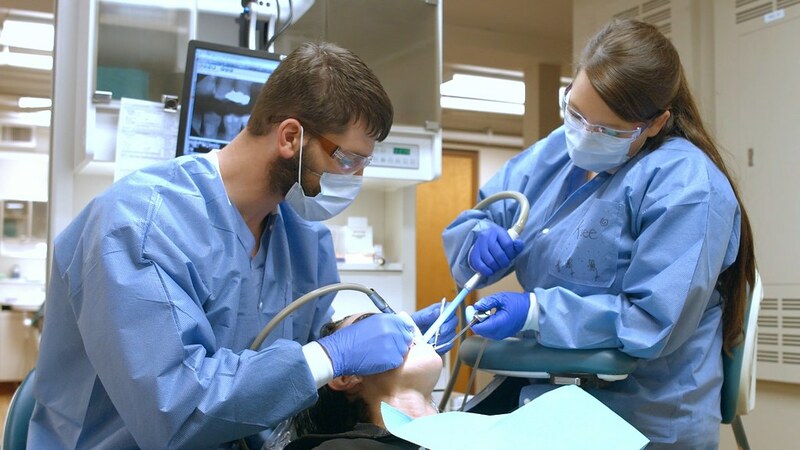 For 50 days out of the academic year, fourth-year students at The Ohio State University College of Dentistry aren't required to attend class – and it's actually a part of the curriculum. Instead, these students are traveling around Ohio, working closely with licensed dentists, and gaining hands-on experience in the field of dentistry. The Oral Health Improvement through Outreach (OHIO) Project gives senior dental students the opportunity to apply coursework to a real-world setting. In doing so, students experience different types of communities and help underserved populations in Ohio receive dental care. "The OHIO Project has been transformative in how our dental students are clinically educated. By being in a variety of community sites throughout the state for 50 days of their senior year, students are exposed to different models of clinical practice and are able to interact with and provide care to vulnerable populations," explained Canise Bean, director of the OHIO Project and professor of Dentistry. According to the Ohio Department of Health, dental care remains the number one unmet healthcare need for children and at-risk populations in Ohio. In fact, 45% of Ohio adults don't have dental insurance*. The shocking lack of access to dental care in Ohio is what led to the program's founding in 2003. The OHIO Project primarily serves low-income children and adults. One way to target this demographic is through the Dental Health Outreach Mobile Experience (H.O.M.E.) Coach, a mobile dental clinic that serves children attending Columbus City Schools, an OHIO Project partner. "Ensuring that children have access to dental care is vital. Not only are we fighting decay and disease, but we're increasing self-esteem. A child should be able to sit in class and learn instead of worrying about being in pain," explained Rachel Whisler, program manager for the OHIO Project. 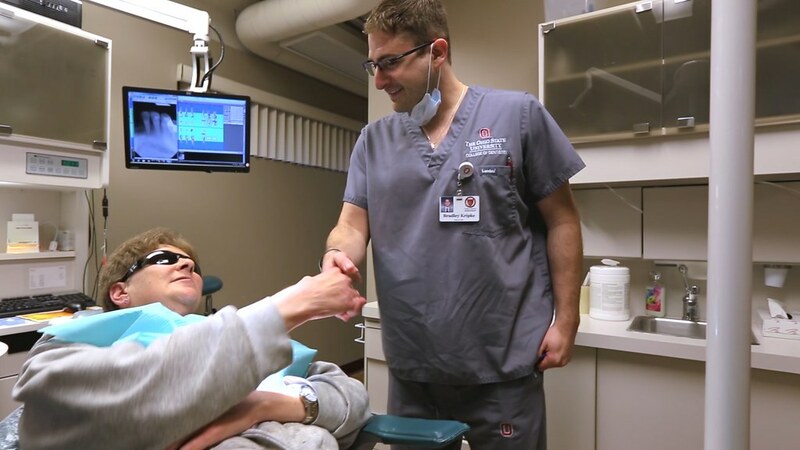 Participation in the OHIO Project is mandatory to graduate from Ohio State's College of Dentistry. Students begin the program during their senior year and are required to spend 50 days working in community-based dental clinics throughout Ohio. The program currently has 23 community partnerships where students may be assigned. Students stay at one site for two weeks. They are also required to spend one week on the H.O.M.E. Coach. Of the 50 days required by the program, 40 are at locations assigned by the college. The last 10 days allow students to select where they would like to go in order to gain additional experience. "Letting students decide where they want to spend their last 10 days allows for personalization of the program," Whisler said. But that's not all—the OHIO Project positively impacts fourth-year dental students in a variety of other ways. The diversity of partnered work sites give students the opportunity to experience many different types of dental settings. Examples of these include private practice dental offices, residency programs, and Federally Qualified Health Centers. As a result, students have a better idea about the types of sites they want to work at in the future. "Students leave the program with a better understanding of what they want for the future. Before the program, some students tell me that they would never want to work with kids, but their experience with the OHIO Project changed their mind," revealed Whisler. There have also been many instances where partnered dental sites end up hiring students that previously worked at that location. The potential for a full-time job opportunity immediately after graduation serves as another benefit to students going through the program. The OHIO Project is unique to Ohio State's College of Dentistry. The strong relationships built between the university and community partners, keeping students in-state, and the length of the program is what sets the OHIO Project apart from any other similar initiative. Going forward, the OHIO Project hopes to add more diverse sites to the program, while also continuing to provide a worthwhile student experience and provide accessible dental care to those who need it. "Our students sense of community service and social responsibility is heightened," said Bean. *Ohio Department of Health Report - "Oral Health Isn't Optional"